Posted by CNC Reporter on Sep 2nd, 2011. A strong industrial market, an emerging South American middle class and a large and skilled Latin American sales force has catapulted Torchmate CNC Cutting Systems to the top of the CNC cutting machine market across Latin America. Torchmate’s Colombia-based South American office is growing rapidly to accommodate the increasing demand for CNC machinery across Latin America. The South American division has already posted its best sales year ever, and is setting its sights on completing 10 percent of the sales of the entire company this year, said Andres Rodriguez, South American sales manager for Torchmate. That growth is only the beginning of what Torchmate sees as a market that should expand exponentially over the next several years. “Right now the South American economy is growing up. Booming industrial, petroleum and manufacturing industries have opened up a lot of opportunities for Torchmate from Mexico to Chile,” said Rodriguez. Rodriguez heads a Latin American division of seven staffers who provide expert sales service, technical support and machine and table set-up services throughout Mexico and Central and South America. 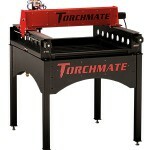 Torchmate has won loyal support throughout Latin America for several services that set them apart from the competition. 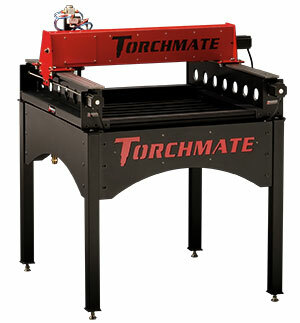 Torchmate sells customers affordable kits for table construction, allowing Torchmate machine buyers to save on shipping fees by only paying to import the actual robotic cutting machine. 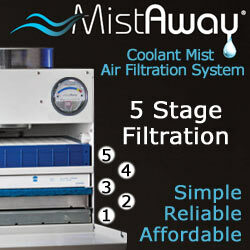 The company’s highly trained, Spanish-speaking staff back each purchase with a lifetime of free technical support, and also frequently train new purchasers on the full functions of the machine. And Torchmate’s CNC cutting machines also cost exactly the same price in South America as they would if you purchased them up at the company’s main offices in Reno, Nev.
Across Latin America, there is a wealth of industries that demand CNC cutting technology. The large, heavy industries like petroleum production, shipping, mining and manufacturing are healthy, and often growing, segments of economies across the continent. Each of those industries require the fabrication capabilities of large CNC, plasma-cutting machines that Torchmate manufactures to build and repair oil platforms, mining machinery or to build ships. South America’s growing demand for infrastructure improvements to accommodate a booming middle class, is also another source of CNC machine demand. Finally, the rise of a consumer class with disposable income is fueling a new crop of Latin American entrepreneurs and small businesses. For many of those entrepreneurs, Torchmate machines are the central piece of a new business — an auto repair shop or small manufacturing business. Rodriguez knows about the growing Latin American entrepreneurial spirit well. 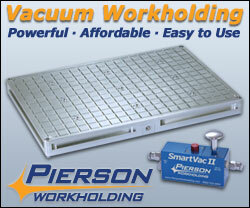 He bought a Torchmate machine as a customer, using it to help in his family’s company that set up industrial kitchens. In his off time, Rodriguez used his Torchmate machine to do contract work — repair machinery, cut signs or even build metal sculptures. As he realized the unlimited potential of the machine and its uses, Rodriguez knew he had struck upon a great business that he not only wanted to do business with, but also wanted to work for. Soon Rodriguez was helping with translations, technical support and machine builds for Torchmate. And not long afterward, he began assembling a team, starting with his brother Camilo, to run a South American office for the company. Working closely with Torchmate Sales Director Josh Schohn, Rodriguez modeled his Colombian office to include the same sales and customer service ethics that have set Torchmate apart from its competition in North America. The hard work has paid off. The South American offices of Torchmate surpassed their sales volume from 2010 by July of this year. And the future is looking even brighter.